Boggler Blogger: 5 reasons Why Ilayaraaja The One Man Show Was Lit AF! 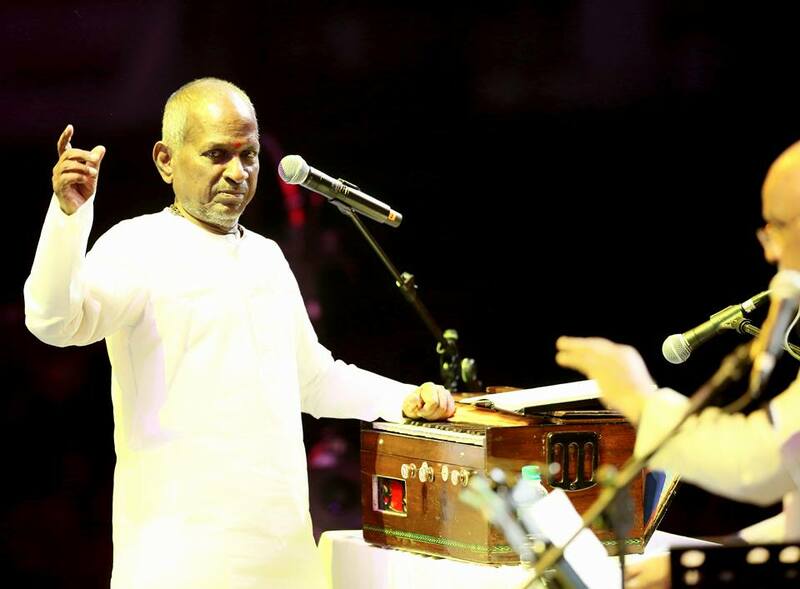 "Ilaiyaraja should be honored as Isai Vigyani (musical scientist) rather than Isai Gyani. He has explored and analyzed virtually every type of music. I have worked with several composers. But this man is on his own trip - he is a colossal talent. We have worked together in around 70 films and we know each other's requirements and expectations very well. He saw the rushes of the film (Hey Ram!) just once and immediately decided the music to be scored for the song sequences that have already been picturised. I told my film crew to give me a week's time and that I will come back with one song in that time - instead I came back with seven songs." Kamal Haasan on Ilayaraaja. There is nothing I can say which could top what Kamal Haasan has to say about Ilayaraaja. Without a doubt he will go down as one of the greatest musician of all time. I must say, I felt blessed to be able to hear this great man play his music and sing live. So many goosebumps moment throughout the show and here is my 5 reason why Ilayaraaja The One Man Show was lit AF! If you were to ask me, what is the best time to listen to some of Ilayaraaja’s greatest hits, I would tell you to listen to them at night and just close your eyes. The way his music connects with your soul is something that you can’t explain with just words. 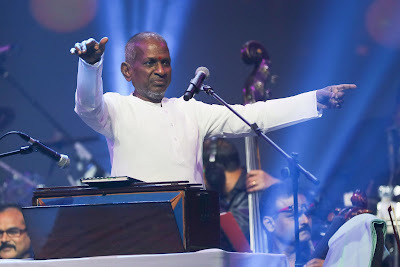 Ilayaraaja came on stage sharp at 8.15 p.m. and amazed us with about 4 hours of his magic. I can’t recall the number of times I was speechless hearing them. My favorite song of his is “Sundari Kannal Oru Seithi” from Thalapathy, and I was overjoyed when that song was played. There is a reason why you are the Maestro. I am no music expert and if you were to play a tune wrongly infront of me, high chances I would never know the difference. That is how poor I am when it comes to music, but Ilayaraaja is one of the greatest of all time. I loved the fact that he stopped his orchestra who was playing half way because one of them were playing a note or two wrongly. There were about 100 players in his orchestra but he knew who exactly was playing it wrongly and corrected them. He strives for perfection. What I loved more was his reasoning behind that. He said that the audience paid money to attend the show and we shouldn't play the music wrongly. The way he respects his audience and doesn’t take them for granted makes him to be loved even more then he is already. There was a huge cast of singers who took part in this concert. Ranging from Mano to Chitra to Karthick to even Yuvan Shanker Raja who made a brief cameo appearance for a couple of songs, but the one man who I was looking forward so much to hear him sing was Hariharan. I have been a fan of him ever since I can remember and I am sure I wasn't the only one excited to hear him sing. Hearing him sing on stage was as amazing as hearing Sid Sriram sing in my opinion. How I wish Hariharan had more stage time that night. 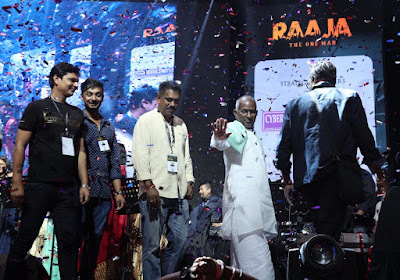 The moment of the night for me was during the song from the film Kasi titled “En Mana Vaanil”. It was not because the song was sung by Hariharan, but it is about what happened after the song was sang. 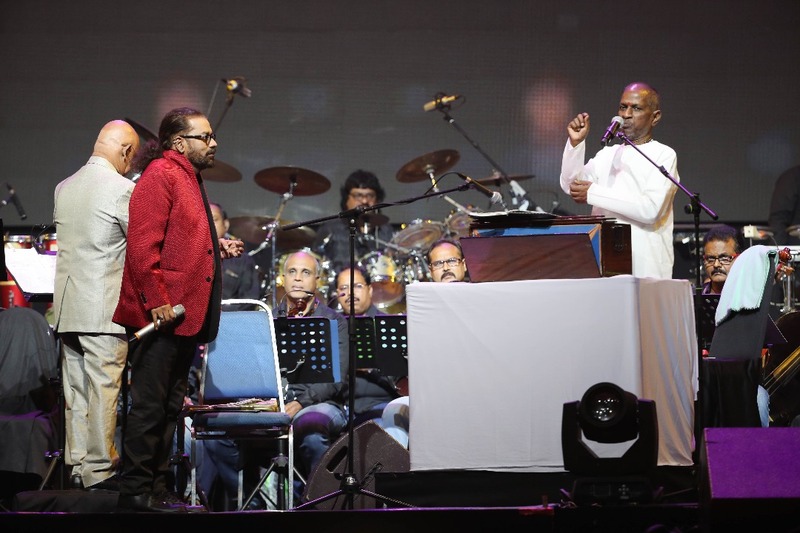 Ilayaraaja was singing a line from the song to tell the audience something on it and Hariharan asked him if he could sing together with him. Rajaa sir nodded and the both of them sang about half the song together and the atmosphere in the stadium was ELECTRIFYING!!!!! It send chills to everyone and when they ended the song, the crowd gave them a thunderous applause. I am so glad that I was there to witness that moment. 1 man organizing 100 over musicians and creating something magical music throughout the night. That was what this show was all about. Throughout the night they kept on creating moments we will never forget and I believed the Orchestra were the unsung heroes of the night. 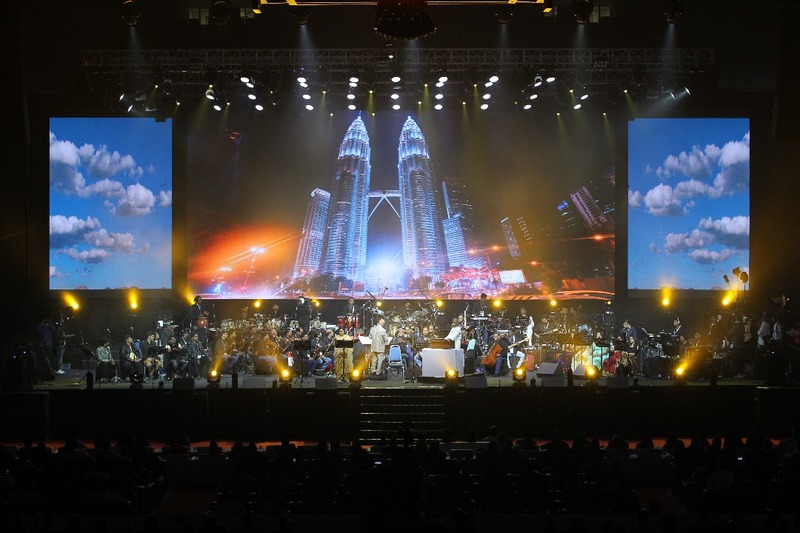 You may attend many concerts in the future, but there is something about having a huge orchestra cast playing live music in front of you which you will never get elsewhere. 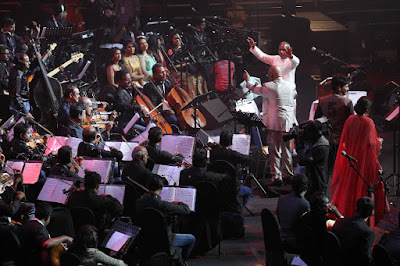 The show wasn’t just about Raaja sir weaving his magic wand and creating magical music. I guess the way he engaged with the crowd about his music on how it happened and how it was almost different gave this show a very personalized touch. I enjoyed the stories about how the told that a tune he composed for one film was not used and ended being used for another film. Or how the way the flute was played to a different tune in the original composition before it was made changes by Rajaa sir and ended up to be a great hit. Sharing behind the scenes moment like this with us was something we would never forget because this are things we had no idea about and only he could share it with us. Huge thank you to the organizers, My Events International for bring this mega event together and making this mega event a possibility. Thank you to Mr. Shahul Hameed Dawood for making the dreams of thousands of people a reality. This wouldn’t be possible without the partnership from Asia Metropolitan University and Yupp TV. Rajaa The One Man Show was a huge success and worth's every single cent you paid. I wished the length of the event could have been a little shorter, but when you are hearing to Ilayaraaja play, I guess you just don't bother about the time. Hope to see the man return for another concert soon in Malaysia. Katru Mara: Changing the face of short film?